You may have read that the New York Review of Books’ investigative reporter Claudio Gatti has unmasked best-selling novelist Elena Ferrante. “The news that the true identity of the writer Elena Ferrante has, allegedly, been uncovered was published on the blog of The New York Review of Booksat 1 a.m. on Sunday—the Internet’s witching hour, when salacious tidbits are unloaded online to greet the unsuspecting citizens of Twitter bright and early in the morning. 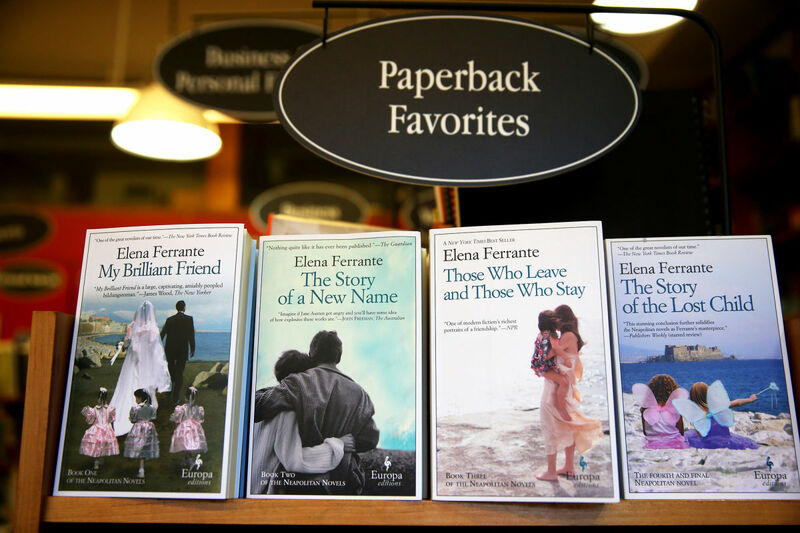 It was met with widespread consternation from Ferrante fans. People are pissed. The sleuth, an Italian journalist named Claudio Gatti, has gone beyond the efforts of previous Ferrante truthers, who have generally tried either to compare the biographies of various Italian writers with what is known or inferred about Ferrante’s life or to match their literary style with hers, and used forensic accounting to uncover a money trail that, he believes, leads straight to the source. The process has taken him months. If only someone had got him interested in Trump’s tax returns during the primaries, just think where we might be today. “To this evidence Gatti adds the further proof of Raja and Starnone’s real-estate dealings. In 2000, the year that Ferrante’s first novel was made into a movie in Italy, Raja bought a seven-room apartment in what Gatti assures us is an expensive neighborhood in Rome. In 2001, she bought a country house in Tuscany. This past June, Gatti reports, Starnone bought an eleven-room apartment “on the top floor of an elegant pre-war building in one of the most beautiful streets in Rome,” not far from Raja’s apartment. Gatti, after making a brief foray into Italian tax law to explain his suspicion that it is Raja who has purchased the new apartment in Starnone’s name, reminds us that most translators do not earn enough from the sweat of their labor to be able to afford such nice things. Raja has risen suspiciously above her station. Ferrante, through her publisher had said: “I have my private life and as far as my public life goes I am fully represented by my books. . . Thanks to this decision, I have gained a space of my own, a space that is free. . . . To relinquish it would be very painful.” For me, the appalling aspect of all this is the character of Gatti. He seems to be motivated entirely by selfish interests: enhancing his career, making money, putting himself in the limelight while injuring the interests of another person. His allegations that Raja (if indeed it is she) was engaging in a kind of publicity stunt, and that eventually she would be found out. He seemed to imply that she was asking for it. I sincerely hope that Gatti will continue to be showered with approbation and that other ‘investigative journalists’ will not try to follow in his footsteps. Life is about making choices; it is not about frustrating other people’s choices.